»Culture & Arts»Don’t Miss: Ireland’s Biggest Bear Event – The Amazing Béar Féile 2016! Don’t Miss: Ireland’s Biggest Bear Event – The Amazing Béar Féile 2016! 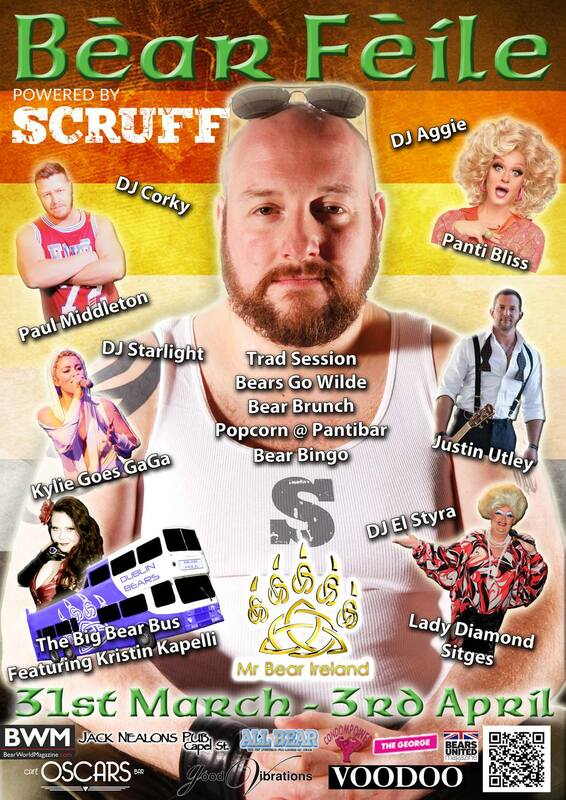 This year, Ireland’s Biggest bear event, Béar Féile 2016, will feature Panti Bliss, Justin Utley, Kylie Goes GaGa, Mr Bear Ireland, Paul M, Lady Diamond Sitges, DJ Aggie, El Styra, Kristin Kapelli, DJ Corky, DJ Starlight, Bear Bingo and lots, lots more!